It is rather lamentable that the Nigerian political space has been so uncontrollably occupied by criminals not to mention hardened drug dealers who are either ex-convicts or active criminals using their political offices as cover to perpetuate evil. Such is the case of an alleged ex-convict and a wanted criminal in the United States turned lawmaker in the red chambers of the 8th assembly and the purported PDP gubernatorial flag bearer in Ogun State, Senator Burunji Kashamu. You know him by the name Buruji but in the world of the underworld where cocaine and hard drugs reign supreme, he’s popularly known as the “DANGLING SPIDER” presumably because of his web or unending network of drug cartels at his disposal. Information obtained by SecretReporters by very credible sources who saw him carry out his exploits revealed that way back as 1985, some Customs officers were unjustly dismissed from service in what could be termed as the bite of the dangling spider, which was Kashamu’s unexplained escape from Nigerian Customs Detention center, Obanikoro. A credible source within the customs ranks disclosed to our reporter that on that very day, unknown to the officers of Nigerian Customs Service on duty at Customs Enforcement headquarters in Ilipeju Obanikoro, Lagos, Kashamu’s partners in crime led by the one Chief Mofa Ajibi Bobagunwa of Ketu Land invaded the detention unit where Kashamu was been held in custody and drugged all the officers on duty. When the officers regained their consciousness, they found out that Kashamu had escaped, as the only officer who was lucky not to have fallen asleep was ordered to unchain him by his invading foot soldiers. It was believed by the customs leadership then that the officers on duty aided the escape of Kashamu who was operating under the alias Eso Omo Jinadu when he was arrested at Murtala Mohamed International Airport. Sequel to his escape he quickly sort refuge in Nearby Benin Republic as all pleas and efforts by the officers to prove their innocence fell on deaf ears. However, the officers have vowed that they would never rest until justice is done as they were untimely and unjustly dismissed for another one’s nefarious activities and offence. Some of the officers who confided in SecretReporters claimed that Senator Kashamu was the man devil which has plunged them into untold hardship after rendering good service to their nation as they alleged an insider plot with top-ranking Custom Officer who might have aided the nefarious criminal’s escape and thus decided to use the junior officer on duty as scapegoats. 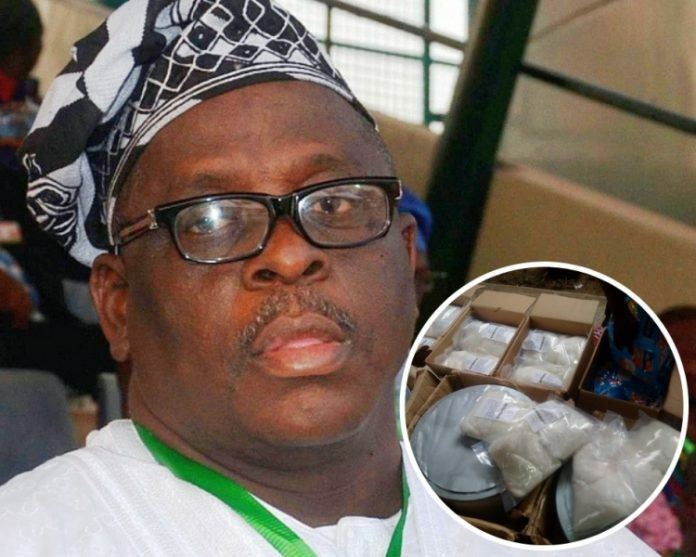 It will be recalled that in 1998, Kashamu was arrested in the United Kingdom on alleged drug-related charges after trying to enter the country with $230,000 (Two hundred and Thirty Thousand Dollars) in cash. He was later acquitted and released in 2003 with British authorities refusing a US extradition request on drugs charges, citing concerns about his identity. Despite Nigeria’s Presidency been reluctant on multiple occasions to take decisive actions against the serving senator, the US authorities still insist that Mr Kashamu has a question to answer and must come to the country to face charges for which he has been indicted by several of his alleged co-conspirators who had been tried, convicted and jailed. Kashamu did not reply to our SMS enquiry and calls over this story, weeks after waiting for a reply.